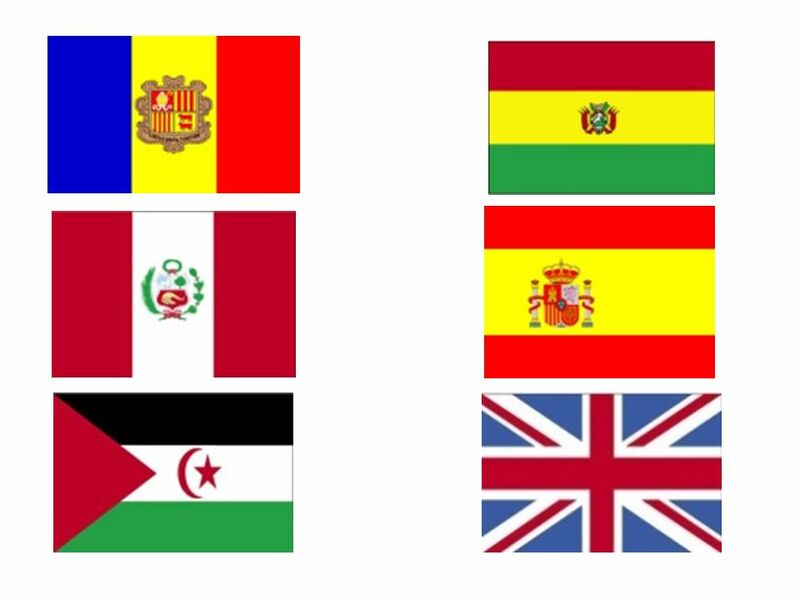 Países y Banderas This lesson is for students in groups to produce a listening activity for the class to do. They work in 4s and choosing a flag from. 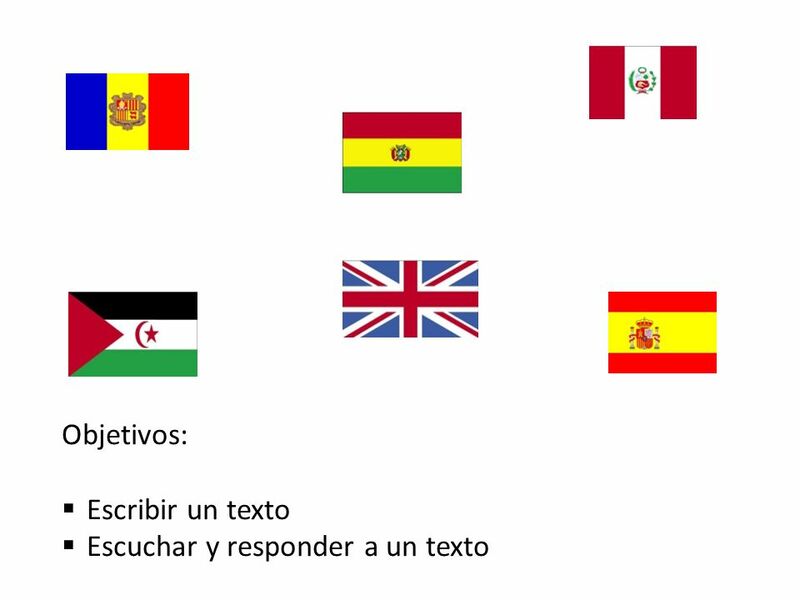 1 Países y Banderas This lesson is for students in groups to produce a listening activity for the class to do. They work in 4s and choosing a flag from the next slide or from the original 6 countries in this unit, they each record their flag description (from memory) individually and then submit their recordings and note of the 4 flags to the teacher (if in an ICT room, students could combine their recordings in audacity) and make a PPT slide with the 4 x flags on it and their names at the bottom. Or the teacher can do this during the lesson whilst students are practising and recording. 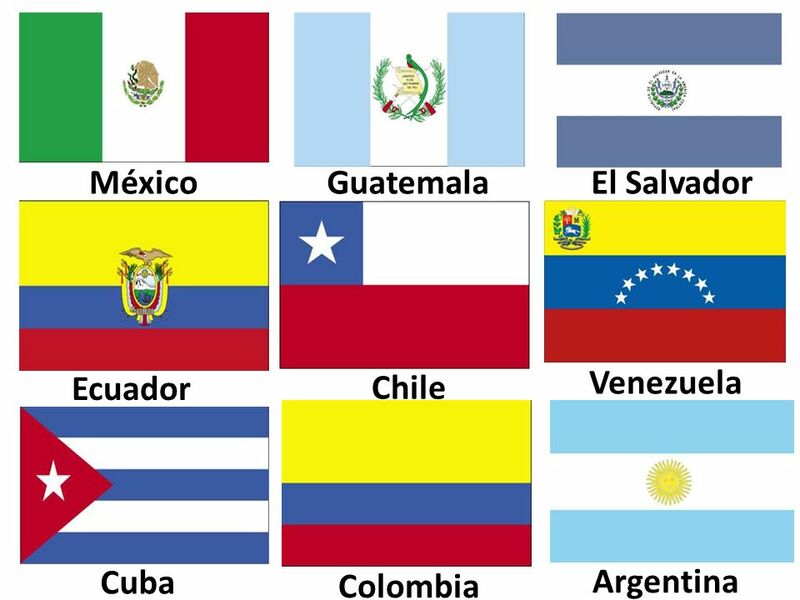 Descargar ppt "Países y Banderas This lesson is for students in groups to produce a listening activity for the class to do. They work in 4s and choosing a flag from." Es It is No es It isnt Hay There is No hay There isnt Tiene It has No tiene It hasnt got una línea a line unas líneas muy very bastante quite realmente. ¿Son unos señores extrovertidos? No, son unas señoras extrovertidas. 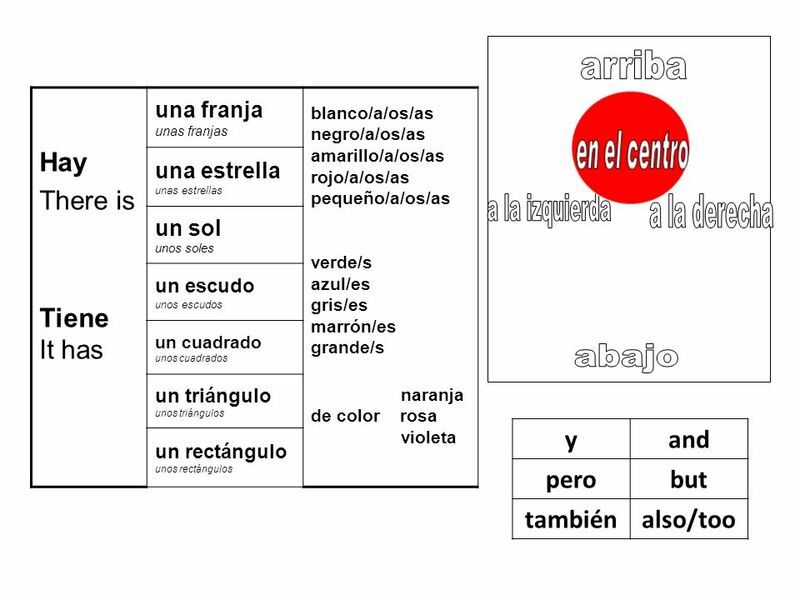 Países y Banderas Use this slide to elicit prior knowledge in Spanish. ¿Qué figura y de qué color es? Es un círculo azul. Vamos a aprender… los colores. Formas y colores. Hoy vamos a … aprender el vocabulario para formas y colores describir unas obras del arte de un pintor famoso (Miró) con formas y colores. ♥ Mundo Chicas ♥ VESTIDOS ! Amarillo…. El artista: Figuras y colores. ¿Qué figura es? ¿De qué color es? Es un círculo. Es gris. Es un círculo gris.